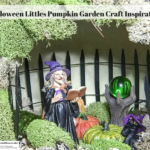 Jo-Ann Fabric And Craft Stores has lots of craft inspiration project idea sheets in their stores and that is where I came across the idea to Make a Halloween Littles Pumpkin Garden. I loved the one they had on their project idea sheet, but I really wanted to do something a little different. There were so many Makers Halloween figurines and accessories to choose from it was hard to decide which ones to buy. After much debate I picked out my favorite figurines and accessories and here is what I came up with. Begin by cutting a large hole in one side of the Funkin. Trim down the size of the foam block if necessary, then hot glue it to the bottom of the Funkin pumpkin. Fill in the sides and top of the foam block with various pieces of the assorted moss. Shape and insert the fence into the back of the Funkin. I skipped this step in the video and had to do it at the end so if you do what I did, you can add the fence at the end. Arrange the assorted Makers Halloween Littles Figurines in place and once you are happy begin putting hot glue on the bottom of them to hold them in place. You will need to move the moss back and hold them in place for a couple minutes so the hot glue dries. Fill in any empty spots inside the Funkin with more moss or bark. Hot glue moss or bark around the opening of the Funkin. Hold the moss in place until it is dry. 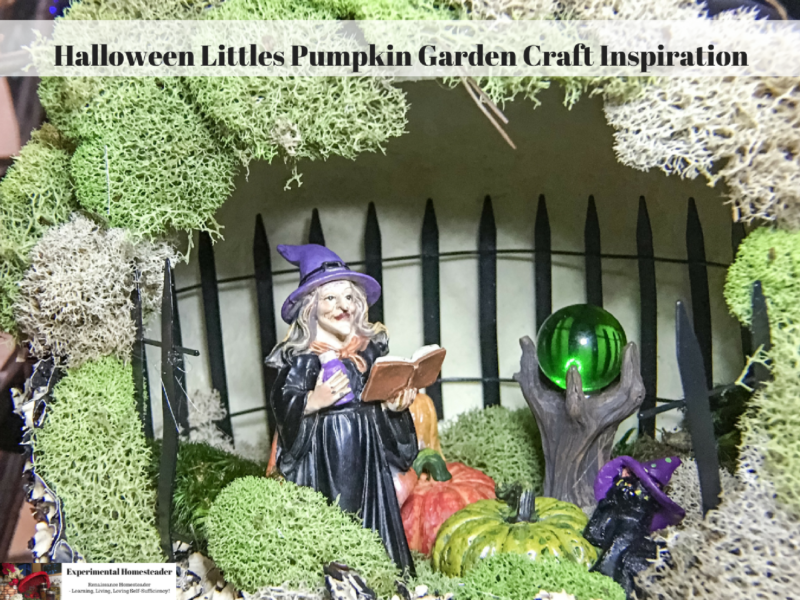 Now your Halloween Littles Pumpkin Garden is ready to display! Note: There is a specific kind of lighting that needs to be used with the Funkin pumpkins so before adding any lighting, please read those specifics. You can find that information on the tag that comes with the Funkin pumpkin.